This fatigue shirt was made under contract for the U.S. Army and dates back to the Korean War. 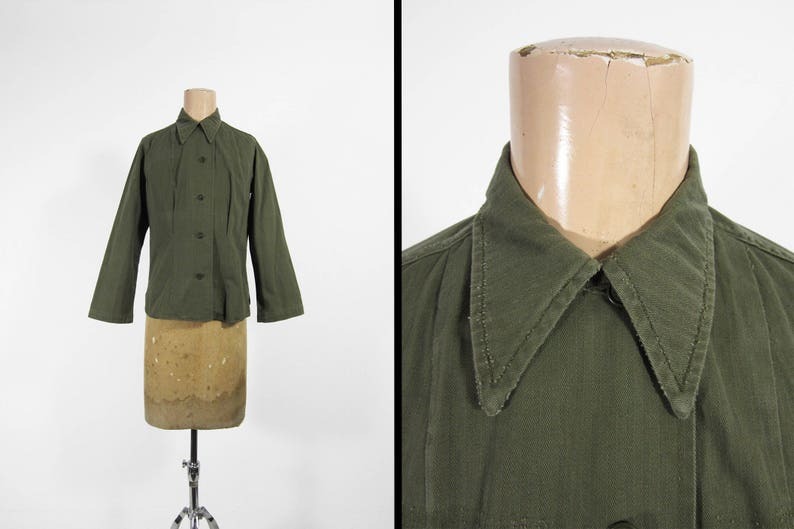 Features include original buttons, pointed collar, herringbone twill, and darted front and back. Overall it's in good condition but seems to have modified. The cuff buttons were removed as well as the chest pockets. Regardless, female fatigues from this era are quite rare. This shirt is labeled as a size 5 but please compare the measurements below to your favorite shirt, laid flat, to ensure a proper fit.